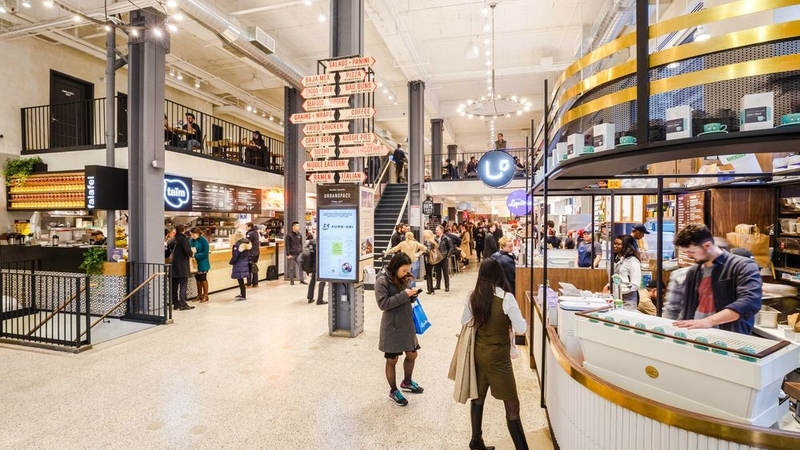 Urbanspace, an operator immersive public markets, is opening its third food hall in New York City at 787 Seventh Avenue. The market purveyor inked a retail lease across three levels at the Class A office tower, located on 52nd Street. Urbanspace plans to open its newest location in the fall of 2019. “787 Seventh Avenue is a prominent location that will suit the needs of our vendors and our customers, where we can create a unique amenity and community in Midtown West,” said Eldon Scott, president of Urbanspace. The space at 787 Seventh Avenue will be the first permanent Urbanspace branded location on the west side. “Over the past two years, Urbanspace has put a strong emphasis on its brick-and-mortar expansion in Manhattan, having opened Urbanspace Vanderbilt at 230 Park Avenue and an additional Midtown East location at 570 Lexington. Midtown West is another exciting chapter in the Urbanspace story. We look forward to continuing our partnership and growing the brand even more in 2019,” said Amira Yunis of CBRE, who represented Urbanspace in the transaction. In addition to its permanent New York locations, Urbanspace operates seasonal locations in Bryant Park, Union Square, Columbus Circle, Madison Square, Broadway, Times Square and the Garment District. The brand also operates a location in Virginia and is expanding nationally with projects in Los Angeles, Chicago, Washington DC and other cities across the U.S.
CBRE’s Amira Yunis and Anthony Stanford represented Urbanspace in the lease negotiations, while their CBRE colleagues David LaPierre and Kristen Crossman acted on behalf of the building ownership, CommonWealth Partners.